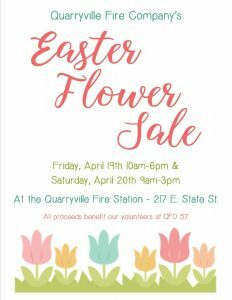 Come out and get your Easter Flowers all while supporting the Quarryville Fire Company! We will have tulips, hyacinths, lilies and daffodils. Come out early for the best selection and before we sell out! 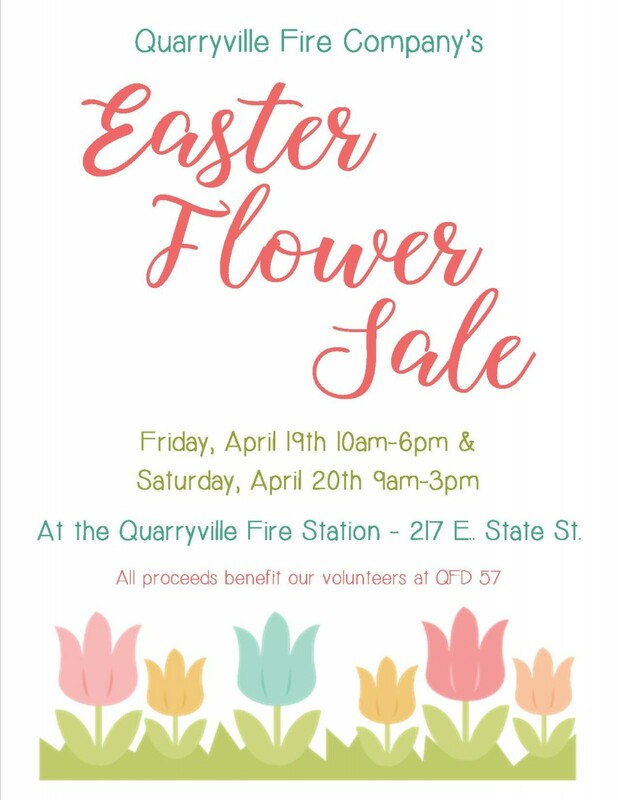 We’ll also have some QFD apparel and cookbooks to sell. This event will be rain or shine. You’ll find us outside in the yard if it’s nice weather and inside the fire house in the event of inclement weather. Let your friends know and we hope to see y’all there! !